An English teacher has suffered life-changing brain damage after being bitten by a tick. 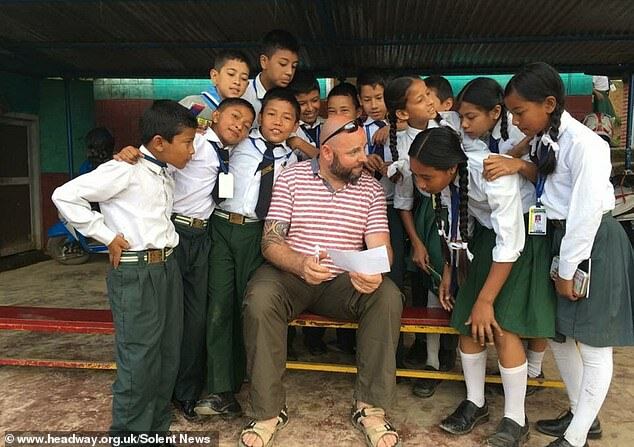 Keith Poultney, 40, initially thought he had the flu when he suddenly developed a fever while volunteering as a teacher in Nepal in 2017. 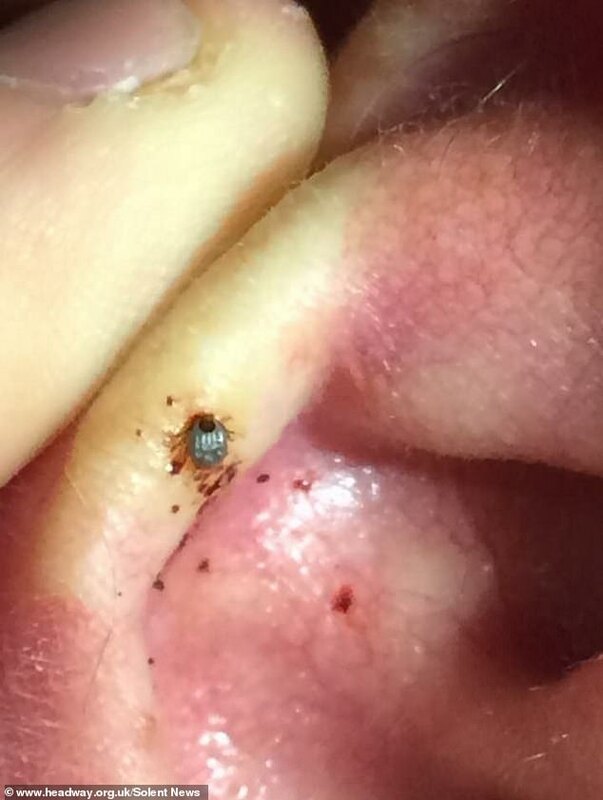 Mr Poultney was given antibiotics when doctors discovered he had a tick embedded in his right ear, which a friend removed. But the infection was resistant to drugs, with the teacher's temperature soaring to 40°C on the flight home to Waterlooville, Hampshire. After being diagnosed with a tropical disease and sent home when he showed signs of improving, Mr Poultney quickly took a turn for the worse when he started hallucinating and suffering agonising headaches. Doctors then discovered he was suffering from typhus, which caused his brain to swell. Despite being treated for encephalitis, Mr Poultney still suffers fatigue and memory problems two years on. Speaking of his ordeal, Mr Poultney said: 'I was taking part in a voluntary project teaching English in a remote village in the Kathmandu Valley. 'Towards the end of my time in Nepal I was bitten by a tick inside my right ear. 'I didn't know I had been bitten and only realised it was still embedded in me about two days later when I started to feel discomfort and pain. A few days later, while travelling in India, Mr Poultney began to feel worse and took himself to a local hospital. 'They treated me with antibiotics, but what they didn't know was that the type of infection I had developed was resistant,' he said. Typhus is a bacterial disease that causes fever, headache, rash, muscle ache, and fever and chills. In severe cases, patients can require hospitalisation due to hepatitis or internal bleeding. 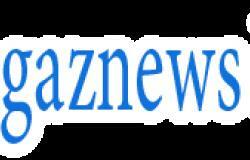 It is caused by the bacteria Rickettsia typhi and possibly Rickettsia felis, which are carried by fleas, lice, mites or ticks.